What does de mean on an Samsung washer? There may be a few different reasons why the dE error code can display on your washing machine. Samsung washer getting the dE error code? The dE error code on the Samsung washing machine display is an indication of the DOOR IS NOT PROPERLY LOCKED OR CLOSED issue. The issues that may cause this fault code is the washer door is NOT CLOSED, a clogged or wrongly positioned drain hose, the drain hose may not be submerged in water and therefore causing the error, or the Door Lock and Switch Assembly is faulty. 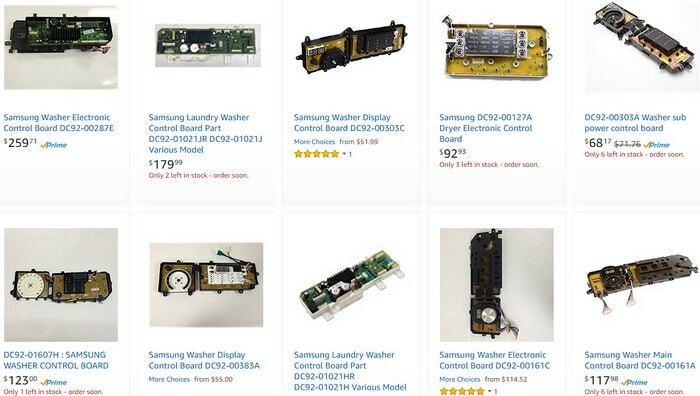 All these issues can cause your Samsung washer to display the error code dE. With all these different reasons, checking all the below components will clear the error and fix your Samsung washing machine. Why is the DE Error code displayed on the panel of my Samsung Washing Machine? You may encounter a situation when your washing machine displays “dE” error. MOST COMMON REASON FOR THE dE ERROR CODE: The washer door is not properly locked or closed. -MAIN REASON: The door must be properly closed. 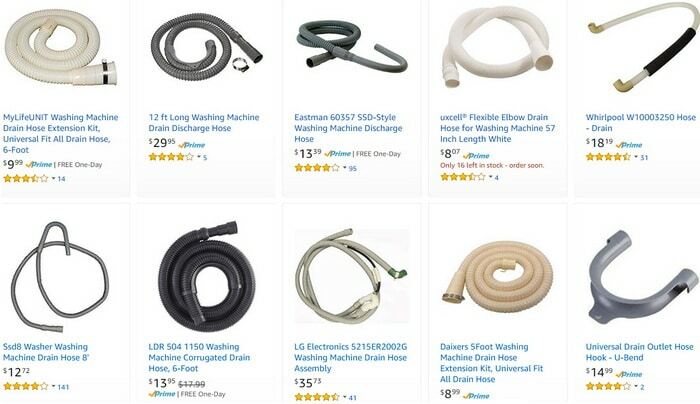 -Be sure the drain hose holder in the back of the washer is properly positioned. -Check the end of the drain hose is submerged in water. DE ERROR CODE SAMSUNG WASHING MACHINE DEFINITION: The door fails to unlock after 7 attempts. -Unplug the washing machine and then open the door. -Use light force to open the door if it does not open. NOTE: Forcing the washer door open can damage the door lock and switch assembly. -Replace the complete door lock assembly if it is faulty or broken. If the Door Lock and Switch Assembly does not fix the issue, you may need to replace the Main Electronic Control Board. This Article Relates To Samsung Washer Models: WA95BWBEH/XTL, WA95BWPEH/XTL, WA88TPBEH/XTL, WA90VNKEH/XTL, WA90VPBEH/XTL. 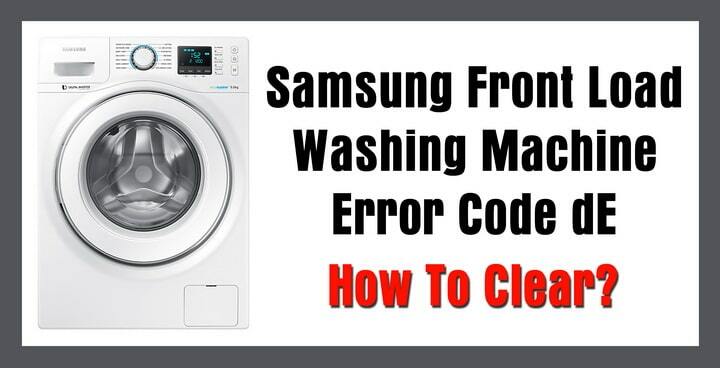 Have questions about the dE error code on Samsung Washing Machines? Please leave a comment below and we will assist. I have a WA13V9 top loader washing machine. When I wanted to do washing it gives me dE code, with no washing in, with washing in, if I close the door ,even before it ways the amount of washing. I’ve got a Samsung WA13V9 Toploader washing machine. It shows the dE error on the panel after it drains the water and wants to start the spin cycle. I switch off the machine and try it again with an empty drum but get the same result. Any suggestions what could be wrong? Previous post: Whirlpool Washer Front Load Error Codes – What Does Error Code Mean And How To Fix? Next post: Window Air Conditioner VS Central Air Conditioner – Which One Is Cheaper To Run?